Take your content compositions to the next level of design and presentation with Monkey Business Animations. With Animations, you can add motion to good design compositions creating amazing presentations in seconds. You can apply animations to any content. Take your masterpiece content designs to another level with Animations. 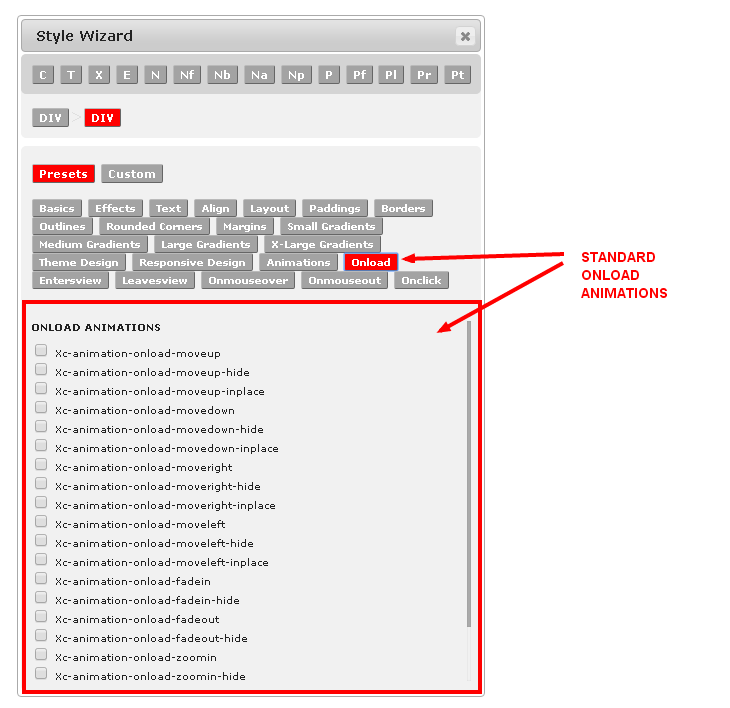 To access Animations, in the editor, open the Style Wizard, select Presets. 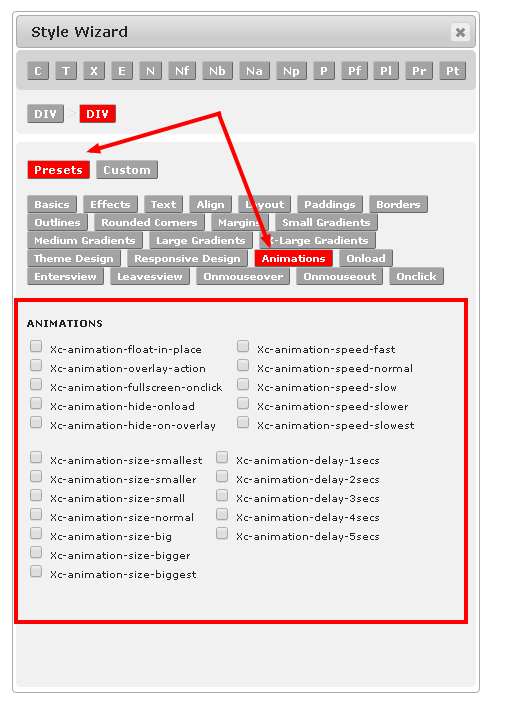 You can now choose an animations Preset Library such as Animations. 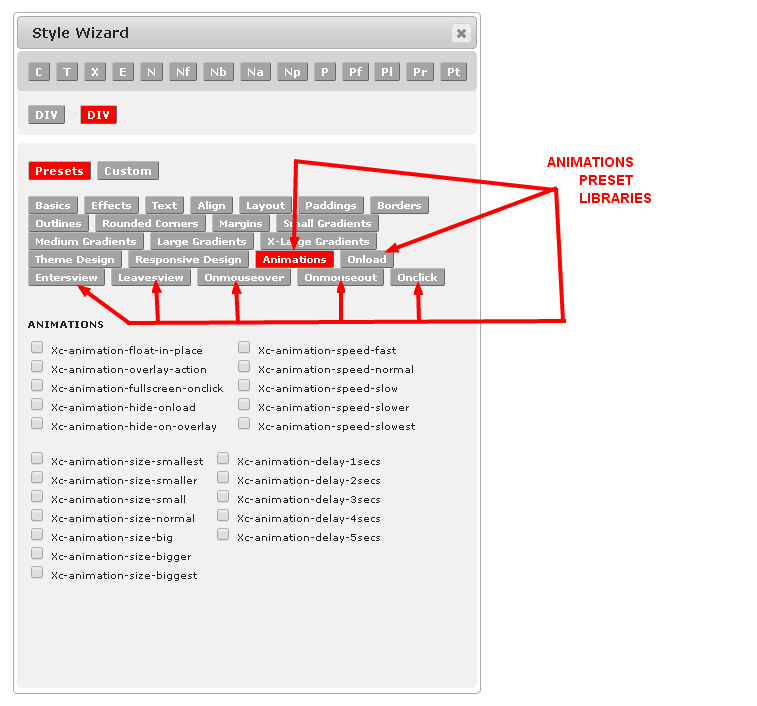 Animations are organized in Preset Libraries for easy access, smoother workflow and application to your content. Simply, click on any Preset Library to access the animation presets in it. The following animations Preset Libraries are available in the latest release of Monkey Business. Move animations move content from it's current position to a new position, whereas Moveto animations move the content to it's current position. inplace - is no longer supported, use Moveto instead. Apply Animation Control presets to your design to control various elements of the animation such as speed and size of the animation. 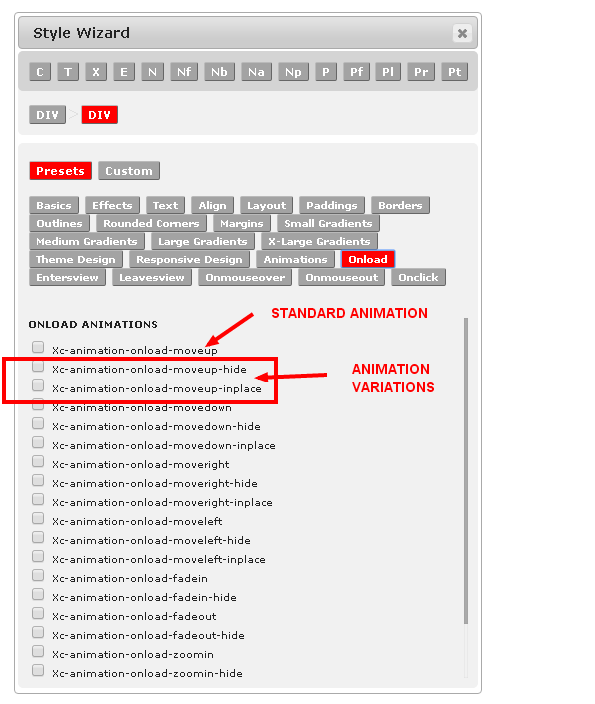 Animation Control presets are in the regular Animations Preset Library. You can apply multiple animation presets to the same element to achieve the smooth animation effect you desire.